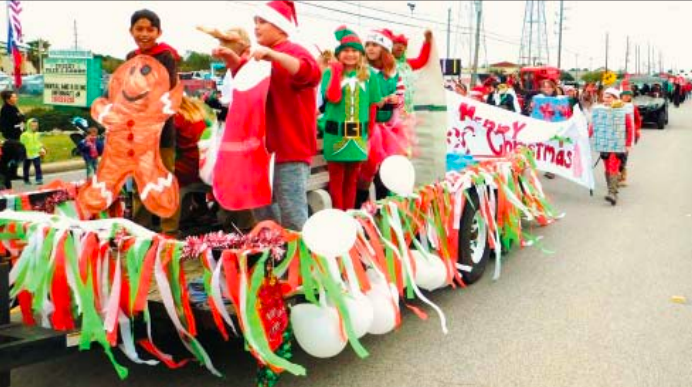 The Crosby-Huffman Chamber of Commerce’s Kid’s Festival combines with the Turner Chevrolet Monster Truck Toy Drive and ATV Lights Christmas Parade on December 8 parading from the Crosby Middle School to the Crosby Rodeo Fairgrounds to make a new, more decorative, longer, more dark parade. CROSBY– Next week a bevy of special holiday display events begin in unincorporated Harris County. 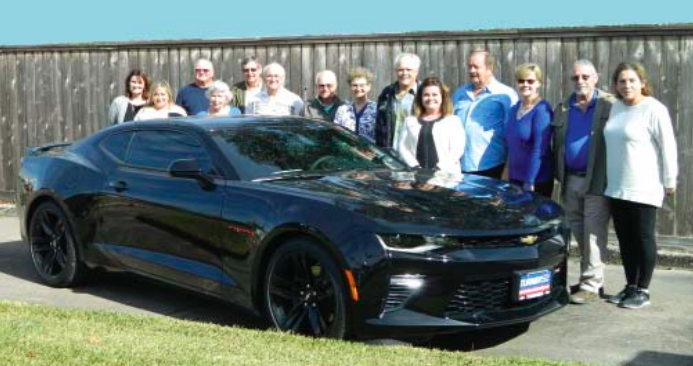 One of the most exciting developments is that a large motorcade assembles at the parking lot of Crosby Middle School on Dec. 8 to be on parade at 6:00 p.m., stopping traffic on FM 2100 and marching to the Crosby Fairgrounds where a Children’s Festival is to be ongoing from 3:00 p.m. The Children’s Festival offers photos with Santa, with traditional hotdogs and treats. On hand will be vendors with great gift ideas and lots of kids’ fun enjoyment. Last year there were rides and bounce houses with a petting zoo. Turner Chevrolet has teamed with Clothe-A-Child Program to add to the chamber parade a special Toy Drive and 4X4 Parade with special guests Santa and friends. The Toy Drive and Clothe A Child are hoping to provide toys and clothes to those in need this year. 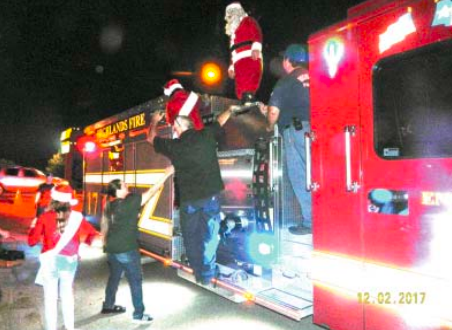 The Toy Drives conclude with the parade on Dec. 8. Bras for the Cause’s next venue is on display inside the Southern Lace Estates palatial event center. Here two bras are modeled by pillars of the community and with the Lady’s of Tough Enough to Wear Pink Committee of the Crosby Fair & Rodeo. 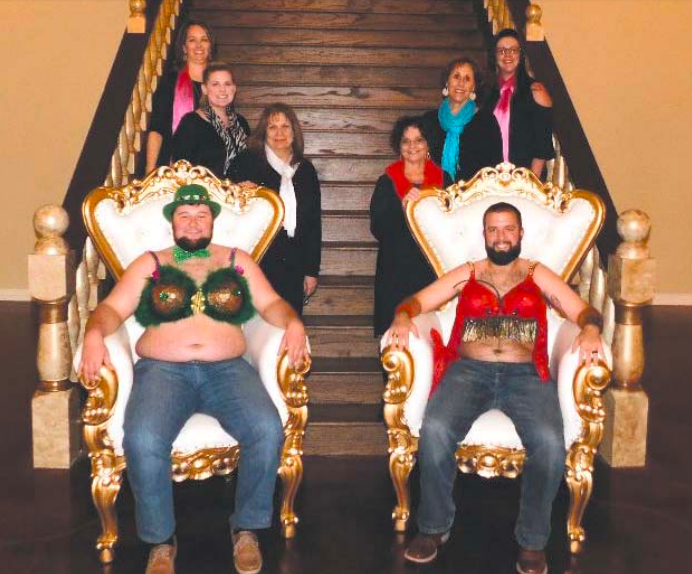 The Crosby Fair and Rodeo’s Bras for the Cause Committee has announced plans for their 8th annual event on Saturday, February 2, 2019 at the new Southern Lace Estates. The venue is located on 100 acres in Indian Shores and has hosted weddings and fundraisers. The Committee once again will host an event with 20 “celebrity” models, modeling bras with various themes to music of the model’s choice. The bras will be auctioned off at the end of the evening in a live auction.